When you are the only Brazilian Top Team gym in all of Asia, the standards of training are set high. Tiger Muay Thai and MMA Phuket is very fortunate to have the opportunity to host guest instructors from all over the world. Roger Almeida, a member of the BTT family who is currently teaching Brazilian Jiu Jitsu for the world famous Abu Dhabi Combat Club has just arrived in Phuket for a 3 week training camp. 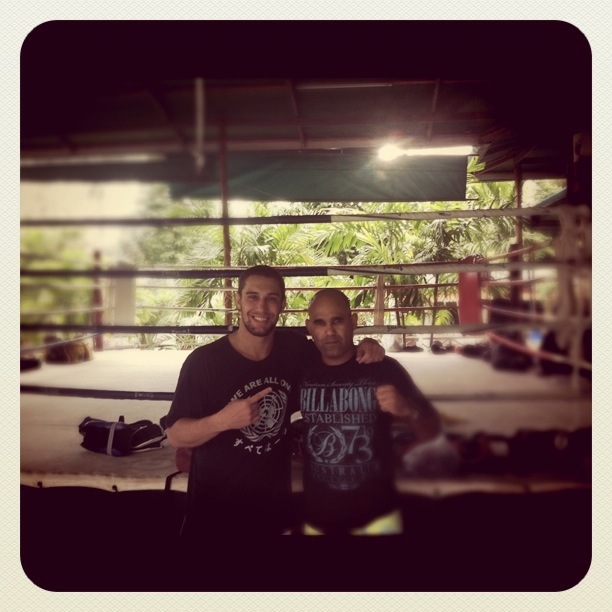 Working with Kru Yod while he was in Abu Dhabi helping Marcos Olivera prepare for his upcoming MMA fight,Professor Almeida decided Tiger Muay Thai and MMA Phuket was the perfect location for his training vacation. Roger Almeida has been instrumental in the integration of Brazilian Jiu Jitsu within the elementary school curriculum withing the UAE. Look for Almeida to provide the guest of Tiger Muay Thai and MMA Phuket with a free Nogi MMA seminar August 9th, beginning at 9am in the MMA training area.